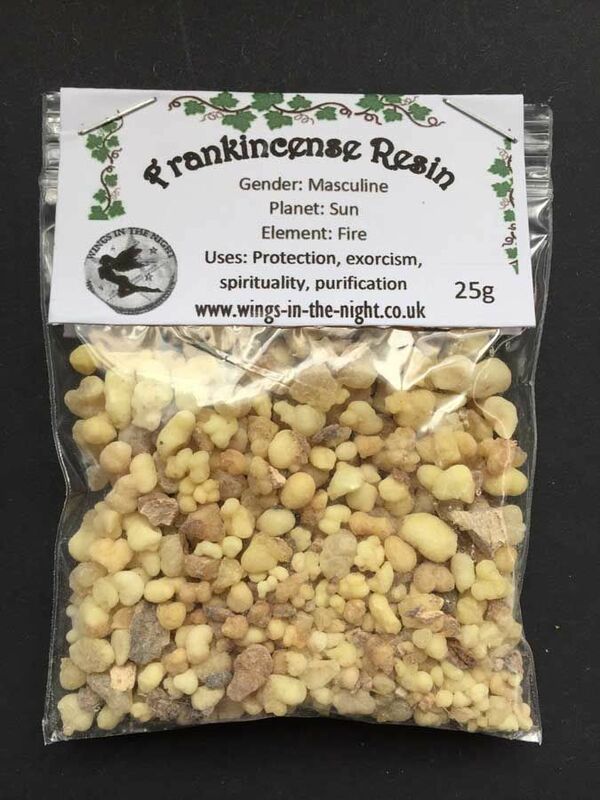 Frankincense incense resin is used for purification, protection, consecration and cleansing areas before rituals. 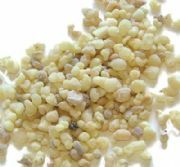 Frankincense resin is an opaque, milky white/cream colour and is obtained from the sap of the Boswellia Thurifera tree. 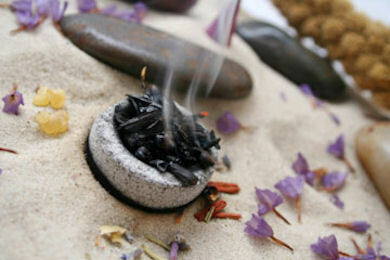 The dried sap can be burned as incense either alone or blended with other herbs or resins. 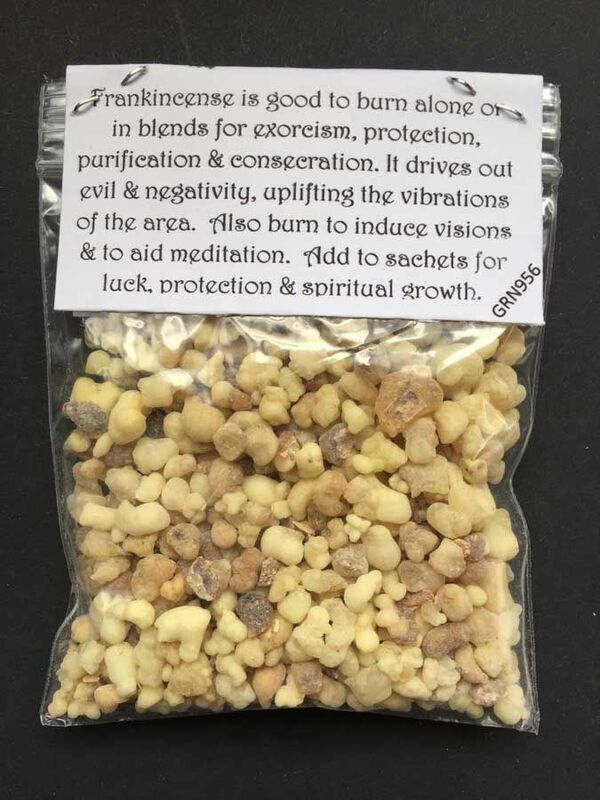 It gives off a lovely citrus/lemony scent that cleanses, purifies, consecrates and blesses the area by clearing it of negative energies and releasing any trapped spirits. 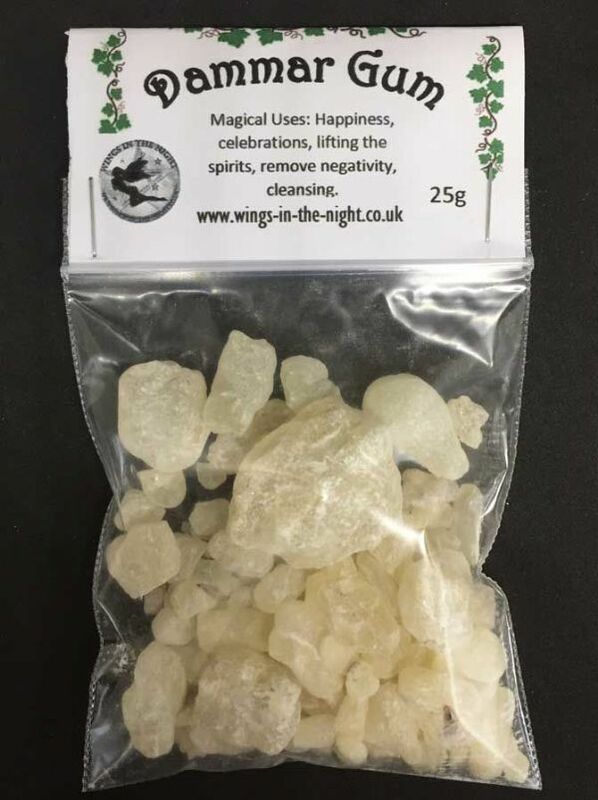 It will quiet the mind and improve the ability to concentrate making it the perfect resin to burn during meditation. 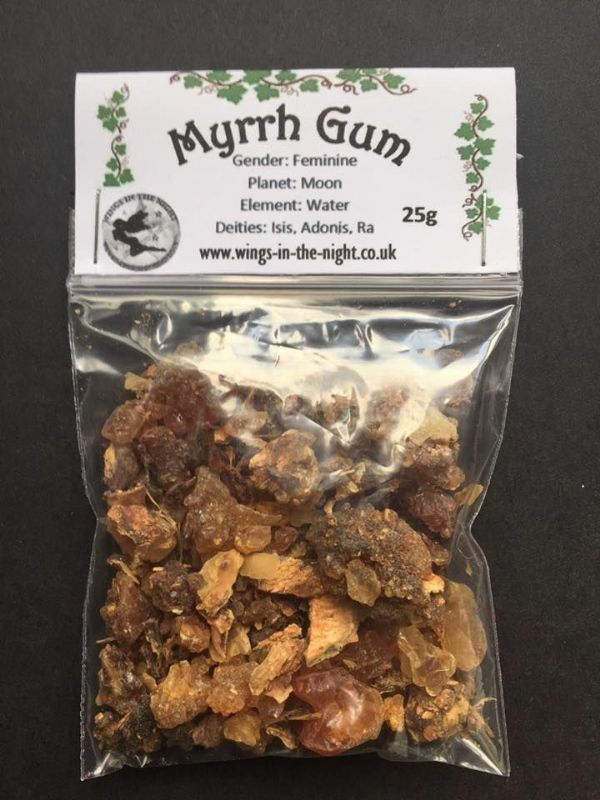 You can also put a piece of Frankincense resin in an amulet for good luck and to attract love and abundance. 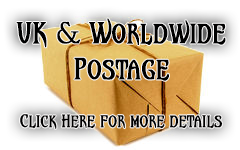 Sign: Aries, Leo and Aquarius. 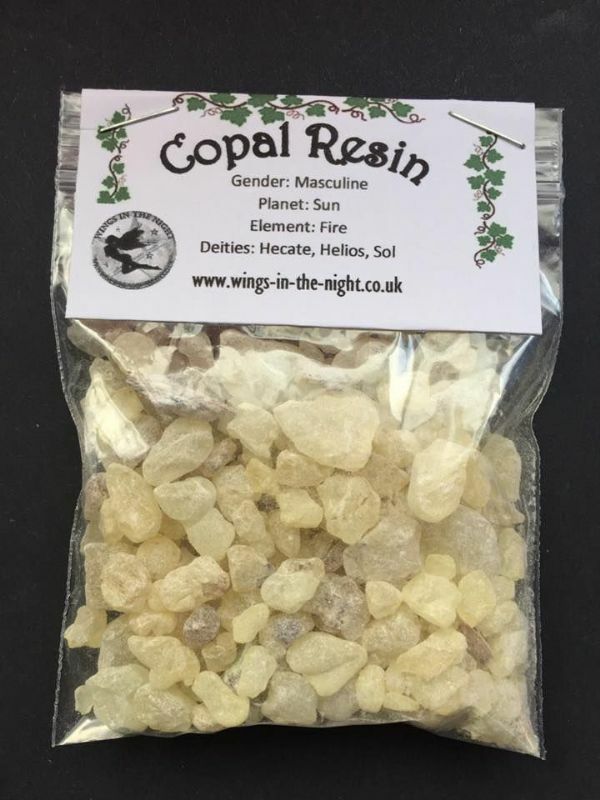 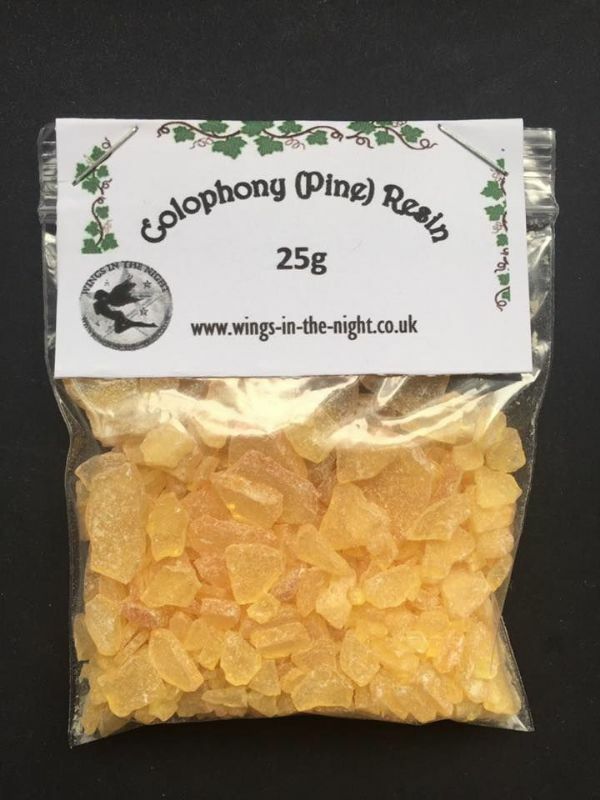 This resin is supplied in a grip seal bag for freshness weighing 25g. 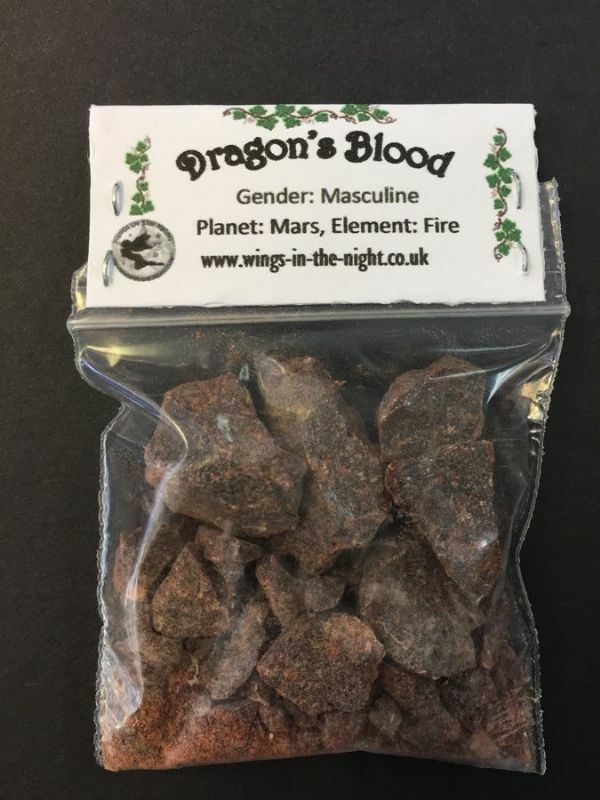 The resin needs to be heated to release the fragrance, this is traditionally achieved by placing a few grains on a hot charcoal disc. 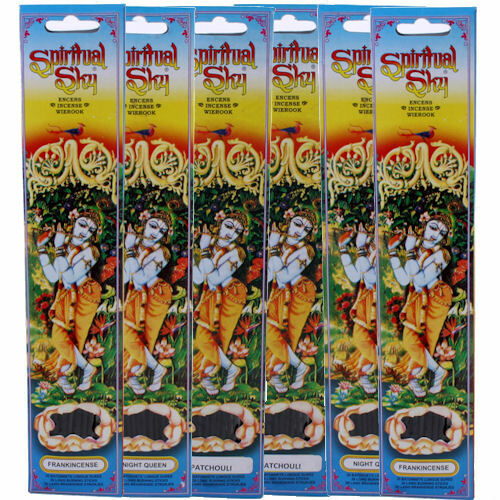 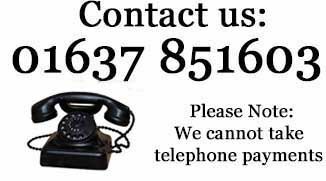 Incense is used for all sorts of reasons which include: general fragrancing for relaxation to ritual work relating to the pagan belief systems.